Avinash, a resident of Perungalathur, is waiting eagerly to see a change in the local government. “The councillor is unresponsive whenever we try to raise our voices. Though we were not much affected by the floods last year, we ensured the safety of our residents without claiming any help from the civic body and gathered a few boats to rescue people from the neighbouring area, Mudichur. I welcome the change of council with the hope that it happens soon, before the onset of monsoon flooding,” he says. How soon that will happen, however, is anybody’s guess. The local body elections in Tamil Nadu which were supposed to be held on October 17 & 19 has been put on hold by the Madras High Court. The order issued by the High Court stated the violation of the election notification as per Rule 24 of the Tamil Nadu Elections Panchayat (Elections) Rules, 1995, as the reason. The Election Commission and the state government were charged for contravening Rule 24 of the State law while the opposition was said to have violated Article 243 (D) & (T) of the Indian Constitution. Rule 24 of the law requires the release of two announcements: 24(3) mandates announcing the date of publication of the public notice while 24(1) requires the poll schedule to be published in both the District Gazette as well as the Tamil Nadu Gazette. The ruling party was charged for not publishing the schedule in the Tamil Nadu Gazette. “The ruling party obviously had prior information about the elections, as proved by the announcement of its candidates on the date of notification and there was not sufficient time given to other parties to get ready for election,” said Justice Kirubakaran. According to Article 243 (T), the reservation of seats for Scheduled Castes and Scheduled Tribes is to be determined by the population in the wards. The Court held that the opposition party had neglected the Scheduled Tribes population (0.23%) and had not allocated any seats for them in the Council. In view of the postponement of elections, on October 4th, the High Court ordered the selection of special officers to monitor the activities as per Section 251 – Transitory provision of the Tamil Nadu Panchayats Act until the local body elections, which are to be conducted before the year end. All the nominated candidates are required to submit an affidavit stating that they have no criminal record. A fresh notification has to be issued by the State Election Commission without any rule breach. On October 18th, the High Court extended the cancellation of the election to the following four weeks. 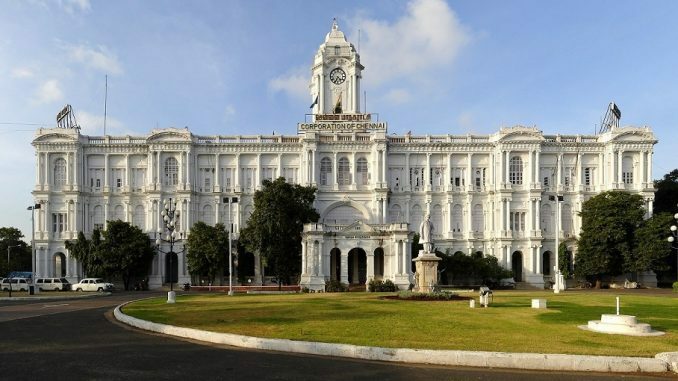 On October 20th, it was reported that the Tamil Nadu governor had promulgated two ordinances that would enable the appointment of these special officers, who would exercise the powers and discharge the functions of the elected local government representatives till the new Council was elected. Who will aid in crisis management? While councillors are the mainstay of a city’s local governance and are responsible for tackling civic issues pertaining to roads, infrastructure etc., not many citizens are relying on the present arrangement to sort out any major issues. “I have been following the developments on the local body elections; as far as the monsoon is concerned, the primary thing that needs to be done is to clean the Cooum, for which I don’t think we should wait for the government to act. The NGOs are doing a great job. If they’re financially independent, I’m sure the entire city will be prepared for contingencies. I understand that our CM is sick, we have only some temporary officers discharging the functions of the Council, but what should we do for that? 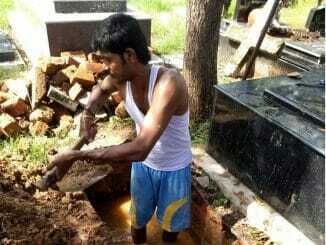 Sit and mourn, or move on with our work?” said Saravanan, a resident of Thiruverkadu. Since the 2015 floods in Chennai, there has been significant participation of civil society in civic issues. During that unforeseen catastrophe, residents, corporates and NGOs had joined hands and rescued many in dire need of help. Supplies including food, clothing and other basic needs were mobilised and deployed effectively with the help of the army and NDRF. Chennai Trekking Club, Chitlapakkam Rising, Nizhal, Bhumi and Arappor Iyakkam are just a few of the NGOs that had engaged in large scale relief efforts. Many among them do feel that the formation of the city Council should be done at the earliest. “The lack of elected councillors will be a big disadvantage to the residents, who have a direct relationship with these representatives and turn to them in times of need. Initiating and commencing projects for the welfare of residents would be difficult, if the current situation persists for a longer time. 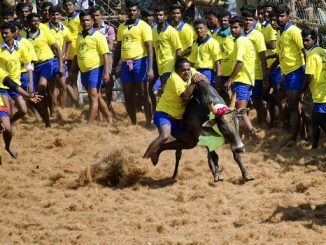 I hope the councillors are appointed as soon as possible,” says Udaya Kumar, one of the founding members of Chitlapakkam Rising. The administration is however confident of tackling the contingencies of monsoon when it arrives. “We have constructed canals in East Tambaram and Irumbuliyur which will take the flood waters to Mudichur via the service road in Maduravoyal and Vaniyamkulam through a drainage for which provisions have been made. We have cleaned the stormwater drains in Mudichur area and will reach Pappan Kalvai. 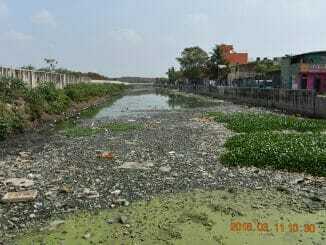 This time we have desilted the existing canals and made sure that the water does not stagnate anywhere” said Madhivanan, Councillor of Tambaram Municipality. A number of other disaster management plans are also in various stages of implementation. Meanwhile, fresh dates for the local body polls are awaited. “We have issued a fresh notification as per the order received from the court and the hearing is scheduled on November 15, 2016,” said Viswanathan, P.A. to the State Election Commissioner. Bhavani Prabhakar is a freelance writer based in Chennai, currently interning at Citizen Matters Chennai. Workers in Chennai’s 38 burial grounds struggle to make their ends meet and battle social stigma, as the Corporation dithers over regularisation of their employment.